Reporting of foreign assets, accounts, and income are now high on the agenda for the IRS, and severe penalties may be imposed, even for innocent missteps. The complex nature of the requirements, coupled with a lack of familiarity shared by many taxpayers and practitioners makes these issues particularly important today. This course is designed to provide you with the tools necessary to tackle these issues effectively and efficiently. 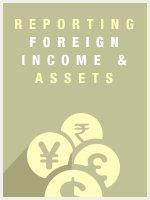 In this course you will learn about the various requirements for reporting foreign income and assets. Recognize the basic rules for income tax reporting of foreign earned income. Understand the newly-emphasized "FBAR" filing requirements for foreign financial accounts.